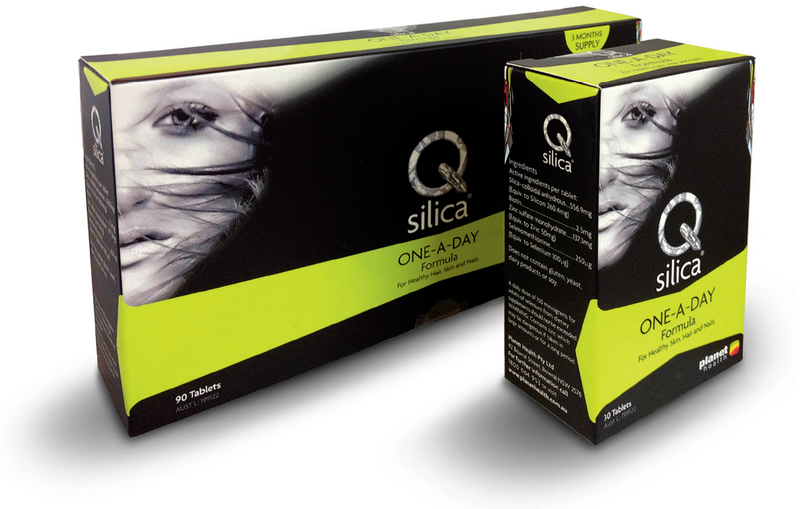 Tuesday, November 29, 2016 — Introducing Qsilica ONE-A-DAY, an award-winning formula, which supports health and appearance of skin, hair and nails from the inside out. 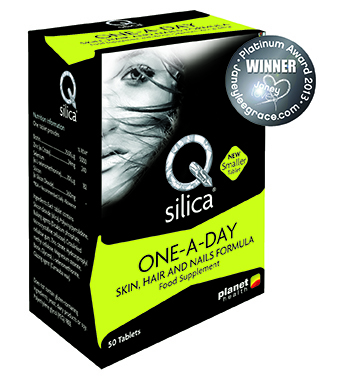 Formulated so only one tablet with food per day is required for optimal results, Qsilica ONE-A-DAY promotes antioxidant protection and structural integrity, encouraging supple skin, healthy hair and strong nails. The colloidal silica, zinc and selenium ingredients promote the development of collagen in the skin, while the clinically-trialled dose of biotin assists in improving the condition of brittle nails. “In modern society, achieving a balanced diet on the go can sometimes be a challenge let alone remembering to be consistent with a complicated supplement routine. 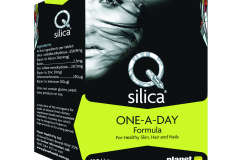 Qsilica ONE-A-DAY Formula is designed to be as effective as possible with little effort,” says Jessica Palmer, Health Researcher at Planet Health, developer of the Qsilica range. The brand’s signature ingredient, colloidal silica, strengthens and assists the formation and cross-linking of connective tissue. 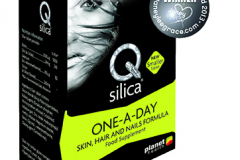 Other active ingredients include biotin to help strengthen soft, brittle nails, selenium to encourage healthy looking skin by helping to protect cells from free radical damage and zinc to provide further antioxidant protection as well as helping to assist issues such as acne by promoting skin repair. 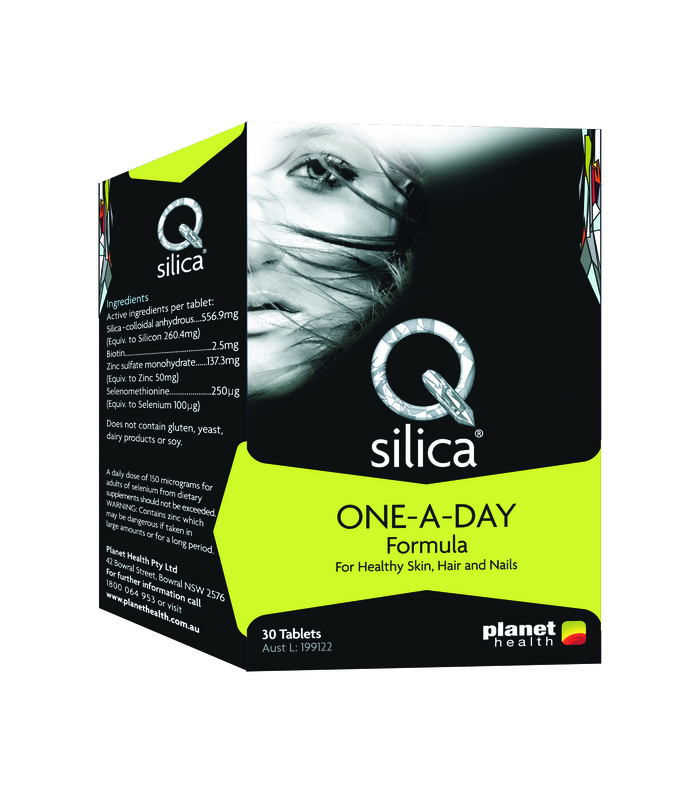 Qsilica ONE-A-DAY Formula offers a convenient, high strength solution for beautiful, healthy hair, skin and nails. On counter now. Available from Unichem, Life, other leading pharmacies and health stores nationally including Hardy's and Health 2000.